Unlocking an iPhone allows one to use it with an unsupported wireless carrier, for example, T-Mobile, in the U.S. The iPhone Dev-Team has released an unlock for the iPhone 4 using the baseband 01.59. If you don’t know what baseband your iPhone is currently on, you can use a program by iH8sn0w, called f0recast for both Mac and PC. You can download it HERE. If no signal is found, go to Settings and turn on Airplane Mode, then turn it off. If you still have no signal, reboot the iPhone. That’s it! Your iPhone 4 should now be successfully unlocked and using either T-Mobile or another unsupported carrier! 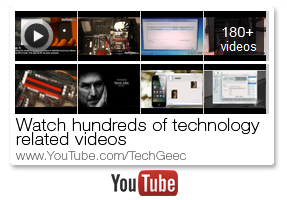 Follow @TechGeec on Twitter for updates. can i use other country sim cards by doing this type of unlocking? i mean turkey or korea? Yes but if the carrier already supports the iPhone, I don't believe you'll need to follow these steps. You should be able to just insert the SIM card and it should connect to the network so long as the network supports the iPhone.